This stylish Foosball table is a great choice for the novice players at your event as well as the enthusiasts. 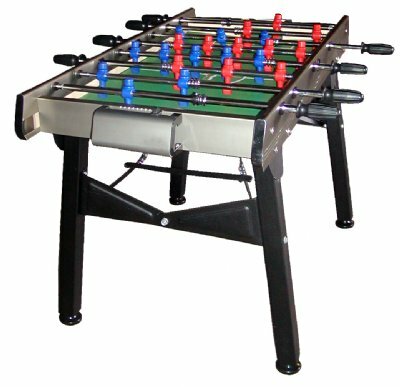 Among the unique features on this foosball table are a scratch resistant play field with graphics & side slopes which eliminates any dead spots on the foosball table. 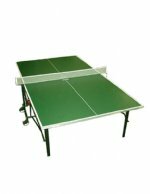 3/4 of an inch telescopic steel rods with an amazing high yield of strength against bending and perfectly countered balanced playing figures which allows your offensive players to have their feet horizontal to the table are additional features of this foosball table. These innovative player and safety features on this foosball table allow for creative & intense shots from your defensive players and guests of all ages at your next event will certainly enjoy the sleek look of this foosball table.